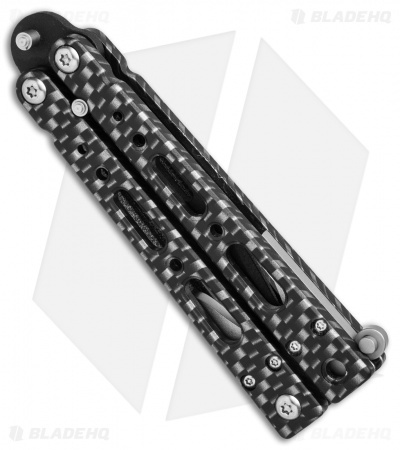 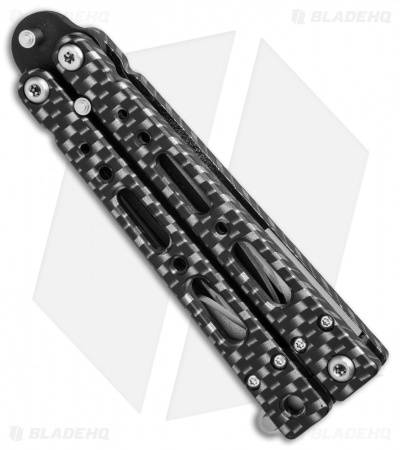 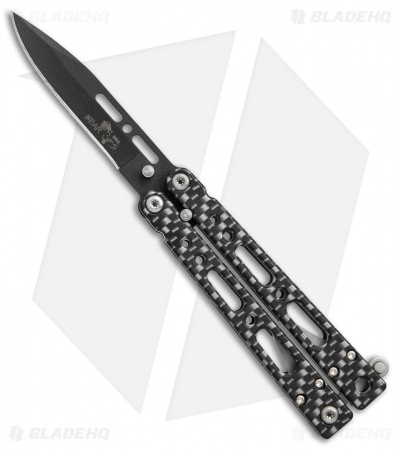 The B-450 is a smaller version of the Bear Song IV butterfly knife, which was a collaboration between BladeRunnerS (BRS) and Bear OPS. 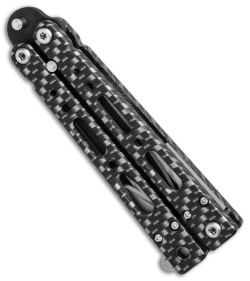 The B-450 flipper features aluminum handles with a sim carbon fiber laminate. Stainless steel spacers and a swappable latch. 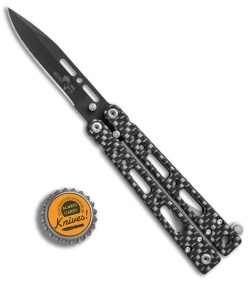 The pivots have 304 bearing surfaces and phosphorus bronze washers. The black finished stainless steel clip point blade has a double tang pin design for great performance.